I understand that playing computer games is a rush. But what kind of rush is it? Is it an adrenaline rush? If so, it doesn&apos;t sound healthy to me. It seems to me we all get enough stress in our lives without the need to produce it artificially. Lots of things give us rushes but that doesn&apos;t make them good. Shopping until you drop is a rush for some people. It may also be unhealthy physically, not to mention financially. Boating is interactive, having other people on board, watching birds and dolphins, feeling the wind, and smelling the salt air. Now that is a healthy kind of rush. How many times have we fallen victim to HSF (Holiday Shopping Frenzy) – finding the perfect gift for Aunt Harriett or Uncle George or the very latest and only the very latest fashionable $100-plus sneakers for a nephew? You get the picture. Cooking, baking, decorating – so much to do! And then there are the parties, the hostess gifts and don&apos;t forget the mailman and the paperboy. Whew! The HSF gets earlier every year, too! Have you noticed? I saw decorations out in stores in August this year. That’s crazy! 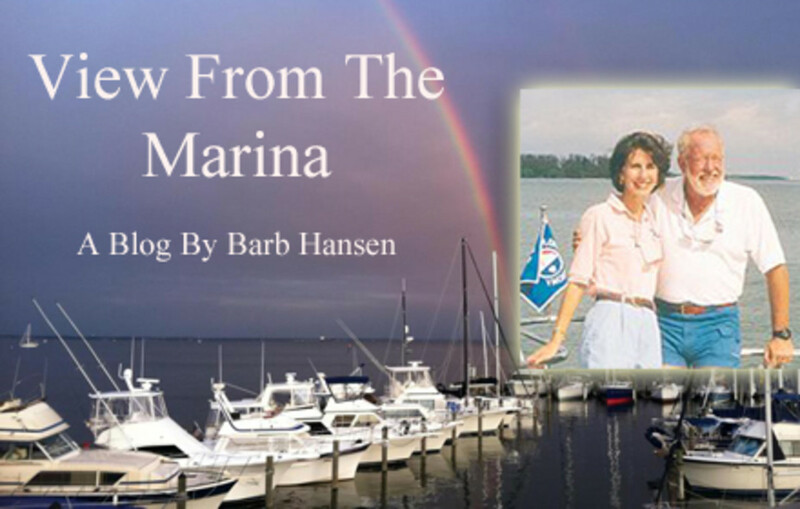 Every holiday season I find myself wishing that people would spend their hard-earned money on things that can really make a positive difference in their lives – yes, like boating. Maybe I’m wrong, but it seems to me that playing some violent game on your tablet is far from relaxing. It’s nothing like, say cruising along on a power boat. So what&apos;s the point? I would say that when we buy gifts for others and for ourselves maybe we should apply the "rush standard" to our decision. In other words, we should ask ourselves, "Will this purchase produce a healthy rush or an unhealthy rush?" This brings me back to boating. I happen to think boating produces the healthiest rush of any diversion, especially including computer games. It also forces us to slow down, to interact with nature, and to spend time with family and friends. Like the game console you can buy at Best Buy, our boat console manipulates a visual display. Our console shows an ever-moving panorama of beautiful scenes framed by blue sky and blue-green water. Like the electronic version, our real-life boating game has a console with manipulating devices such as a steering wheel and throttles. (You could call them joysticks.) They make the visual display turn this way or that, and go slower or faster, forward or backward. For real. Unlike the indoor game console, our outdoor console game supplies us with fresh air and rewards us with unexpectedly exhilarating sights such as dolphins surfing the bow wake or a family of manatees chewing on seagrasses. That’s the holiday rush that I’m looking for and suggest you give it a try. 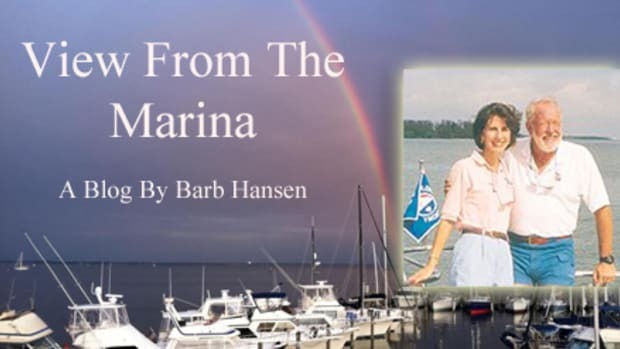 Barb Hansen manages Southwest Florida Yachts, yacht charters, and Florida Sailing & Cruising School. Email info@swfyachts.com, phone 1-800-262-7939 or visit www.swfyachts.com.